Advanced Surveillance Group is considered one of Michigan’s premier private detective agencies. We offer private investigative services throughout Metro Detroit and have worked with many clients in the city of Dearborn since 1999. When it comes to hiring a private detective agency, it’s important to choose a company that uses the most up to date surveillance equipment and investigative resources. A Dearborn private investigator has not only have access to high tech spy equipment, bug sweeping devices, and cell phone forensics, but we also have access to databases not available to the general public. When it comes to choosing a private investigator, choose the company that provides results. Are you suspicious of your spouse? Perhaps you don’t quite trust your child’s nanny. Or, maybe you are an attorney and you need to find someone for a case. There are so many reasons that you may find yourself in need of a private investigator. No matter what the situation, ASG can help you find a whatever it is you’re looking for. A Dearborn private investigator can catch a cheating spouse in action and we can do it discreetly. Installing nanny cams can allow us to safeguard your Dearborn home while protecting your children. Locating someone in our out of Michigan takes time and resources that many people don’t have access to. We are experts at locating people who may not want to be found. ASG is made up a of a team of individuals with a vast array of experience. Many of our Dearborn private investigator have worked in law enforcement, served in the military, or worked for computer forensic companies, insurance firms, or attorneys. We utilize this experience to provide you with the highest standards of quality and professionalism. Dearborn is in Wayne County and part of the Detroit Metro area. 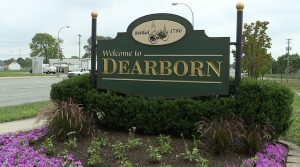 The city of Dearborn is comprised of a very diverse culture. Arab Americans make up a 44% of the population. Only 30% of Arab Americans are Muslim, with Buddhists, Jews and Christians making up the rest of the population. Dearborn Public Schools are considered to be one of the most socioeconomically diverse schools in Michigan. While the bottom quartile of students are minorities, they outperform many students on a national level. Dearborn recently opened a new rail and bus transit center to make it easier for residents to commute to their jobs. Dearborn is home to a number of great multicultural restaurants and shopping malls. It is also the location of the Ford Motor company’s world headquarters. As Michigan’s premier private investigation agency, we are here to help you. When you have questions, we’ll help you find the answers. Contact us at 888-677-9700 and ask to speak to a Dearborn private investigator and surveillance expert today.